City of Sutter Creek Awarded EPA Brownfields Remediation Grant - Geocon, Inc. The City of Sutter Creek was recently awarded two $200,000 EPA Brownfield grants to be used in the assessment and cleanup of two historic sites within the city – the Central Eureka Mine and the Knight Foundry. The grants were awarded through a competitive process based on applications authored by Geocon with the assistance of the California Department of Toxic Substances Control and the Knight Foundry Corporation. The Central Eureka Mine is an abandoned gold mine located near the edge of historic downtown Sutter Creek that ceased operations in the 1950s and has been sitting vacant and idle since then. The mine’s well-preserved headframe standing above the mine and surrounding area is a highly visible reminder of the city’s mining legacy. Mine waste at the site, consisting of tailings left behind from processing of gold-bearing ore and waste rock deposited around the minehead, is impacted with elevated concentrations of naturally-occurring arsenic. The arsenic concentrations in the mine waste exceed health screening criteria. Therefore, future use of the Site will require that the routes of exposure to arsenic in mine waste be eliminated. The City plans to redevelop the site as a park and walking trail to increase the City’s limited parkland acreage while preserving the mining history of the site and the City. The cleanup grant awarded for the mine will be used in the development and implementation of a cleanup plan for the mine that incorporates covering of the mine waste with clean soil cover in areas that will be accessible to the public. 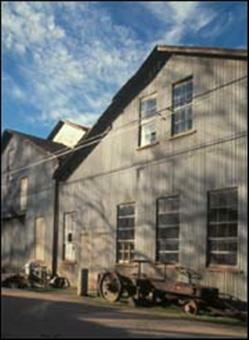 The historic Knight Foundry in Sutter Creek is the only operational water powered foundry and machine shop in the United States. The Knight Foundry was established in 1873 and operated nearly continuously until the 1990s. Although currently closed, the foundry remains in operating condition. The Knight Foundry consists of a foundry, machine shop, pattern making shop, blacksmith shop and other ancillary buildings. Surface dust in several of the buildings is impacted with lead exceeding health risk criteria. Soil outside some of the buildings is impacted with lead, arsenic, petroleum hydrocarbons, and polynuclear aromatic hydrocarbons. An assessment grant awarded for the Knight Foundry will be used to collect additional data and to plan the cleanup of impacted dust and soil.